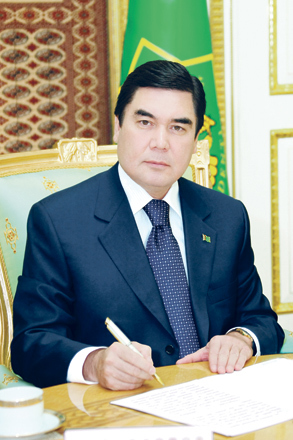 Turkmenistan intends to continue combating violators of the law, using the appropriate preventive measures, Turkmen President Gurbanguly Berdimuhamedov said at a meeting of the State Security Council. He stressed the importance of a detailed and fair approach to the analysis of each case, the Turkmen government said. While addressing the employees of the Prosecutor's Office, the President stressed the importance of a responsible approach to the work related to the rule of law in the country. Stressing the urgency of the challenges facing the Interior Ministry in the context of urgent state development tasks, the Turkmen President drew attention to such important issue as the staff recruitment. "The success of crime prevention depends on the personal qualities of heads holding senior positions in the Interior Ministry," the president said. President Berdimuhamedov also stressed the need for thorough examining the world best legislative experience and the importance of its active use while developing the legislative acts.